How to Get a Job in VR? What if you just want to make a career transition out of your current job, or you just graduated from college but don’t have work experience yet, or you feel like you have an “irrelevant” background and might not be valuable in VR because of that? I’m going to offer some insight into the kinds of skills you will need to build, how your local VR community can help you get started, and what job openings are in the field right now. Everything below is information that I give to people who ask me how to get started in VR or AR — and even though I will be speaking more directly to the VR side of the industry because that’s where most of my research is, everything below is also applicable to AR. What skills you should learn depends on what area you would like to focus on. If you want to make your own VR experiences from scratch, you’ll need to know a little bit of everything below, or if you already know which role you want to have, feel free to skip down to that section. Gaining the knowledge you need to do work in VR and then demonstrating your skills with small self-driven projects is the best way to show a potential employer what you’re capable of doing. There’s no need to work for anyone else for free — you can tailor your own learning experiences to the projects you want to work on. Hands-on experience building VR prototypes on your own (or with a group of people) might be the most time-consuming approach, but right now it is also the fastest way for anyone in any discipline to get hired. Your ability to build a prototype in VR will come from a working knowledge of a 3D engine like Unity or Unreal. If you don’t have any experience with either of those, a background in C# or C++ will be key. If you come from a 2D medium like mobile or web, learning to “think in 3D” and program for spatial environments is a skill that can take some time to build. Prototyping in VR benefits from having a “tinker & experiment” mindset, as well as reading up on best practices. Your understanding of topics like embodied cognition, spatial processing, cognitive load, proprioception, human factors, and ergonomics will all be essential. VR user experience design, in particular, has a wealth of resources available online. Since bodies come in a variety of shapes, sizes, and abilities, you will want to read up on some of the VR accessibility resources out there. You can also watch Google’s VR experiments with UX, UI, and multiplayer interactions. Making good design decisions in VR will come from experience, being familiar with what other people have already tried, and critically evaluating whether those approaches work. You will benefit from knowing how to use a 3D modeling/animation tool (e.g. Blender, which is free, or 3DS Max), as well as understand how to import 3D assets into an engine like Unity or Unreal. Sites like Turbo Squid have tons of free pre-made assets that you can download and modify. There are also online courses available already that can walk you through the asset import pipeline from start to finish. Some adventurous VR artists have begun creating VR-native 3D art using tools like Tilt Brush, which they export into Zbrush, 3DS Max, etc and then rig & animate as you would a traditional 3D model. Audio is essential to VR experiences. You will want to read up about 3D audio spatialization and the physics of sound, as well as think about how object materials or the structure of a virtual 3D environment impact the audio experience. If you’re particularly interested, you can also explore audio middleware like Wwise or FMOD and try implementing those into your VR projects, as well as the free Oculus Audio SDK. One of the least-explored areas of VR, virtual spaces can oftentimes require characters as a means of entertainment or guidance, and it’s up to narrative designers to determine who those characters are and how they interact with people. You will want to pay close attention to how body language and “stage presence” directs the attention of your audience, as well as eye contact and the use of audio cues. There are also some very cool VR storytelling apps that have been announced like the Limitless Creative VR Environment and Mindshow that enable you to act out your own storylines natively within VR. You can also use some of your traditional web skills to make VR applications, which take advantage of the front-end and back-end tech many of us are already familiar with. Try playing around with A-Frame, which uses regular HTML and an entity-component-system to create VR experiences compatible with several popular VR headsets. Web VR requires you to think critically about how websites could benefit uniquely from being in VR and expands our understanding of what a good 2D web user experience could be. You’ll want to get into a VR headset and try new experiences out as often as possible. Think about how much you use web browsers, or play a video game: your experience with technology has shaped your understanding of what it’s capable, and VR is no different. Take advantage of every chance you get to try out VR demos. Going out to local events where you can experience a lot of different types of content will help you learn what works and doesn’t work. Look for inspiration in existing VR experiences from other creators. It will serve you well to have an understanding that everything you think you know about interfaces is wrong, and that you will need to iterate heavily. The more exposure to VR content you get, the faster you will build an understanding of how VR environments and interfaces work together to create a seamless immersive experience. It’s a new world with weird rules, every prototyping tool requires you to know some programming, and the hardware you need is expensive. And unfortunately, there are very few academic programs out there teaching the skills you’ll need. Some of you might feel you don’t have the “right” degree or background to do meaningful work in VR. I think it’s hard to have a truly useless background when it comes to working in technology, and even more so for VR. But how do you mockup a virtual reality interface if you don’t know the first damn thing about VR? Unfortunately, VR doesn’t have any prototyping tools made specifically for designers yet. But what we do have is Unity, so that’s where your skill focus is right now. And remember, it’s not just you who is new to this! The same learning curve goes for web developers, or mobile app designers, or anyone else coming from 2D interfaces. 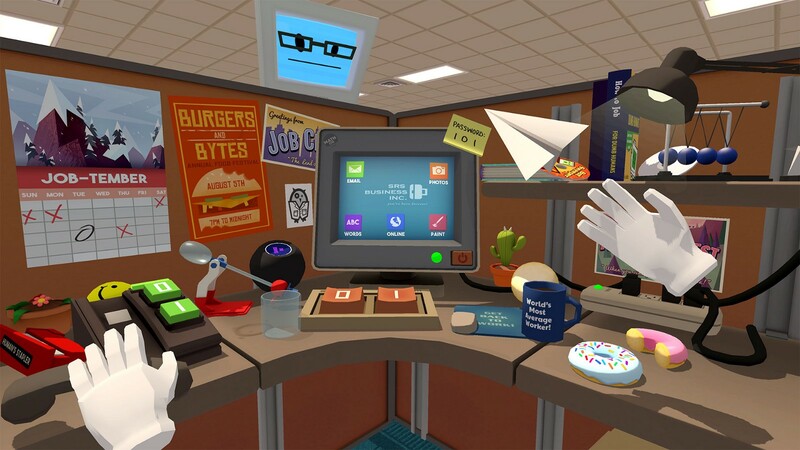 Game developers who are already familiar with 3D engines (and who may already been working in Unity) will have a much easier time, which is why a lot of them are able to get jobs in VR right now. VR is a 3D medium, which means it uses 3D engines. Unity is a 3D engine that will allow you to prototype for VR. It is the easiest entry point we have right now, so my suggestion is to learn Unity. It is the most widely used 3D engine available, there are millions of people around the world using it, and it’s fairly easy to get it working with VR software/hardware. Start learning the basics of Unity using this tutorial that Liv Erickson wrote. Once you have Unity installed and get through some of these non-VR basics, you will be equipped with the knowledge you need to start making experiences for virtual reality. Download and open the Kitten VR project in Unity. This project is a great primer for what a VR project looks like under the hood, and you can try altering or reusing the code & art assets. Look through the Unity asset store for free art assets. It can be hit or miss, but using pre-made objects to start will help simplify your prototyping process. You can use these objects as placeholders until you’re able to make your own. Eventually, you will want to try out what you’re working on in a VR headset. If you don’t already have a VR headset, start with something cheap and approachable, like Google Daydream or Samsung Gear VR. As you start making things, you will want to be able to test your experience out in the headset, checking to see whether what you’re making is working the way you intended it to work. One of the bonuses of deciding to work in Unity is a brand new plugin called EditorVR. It’s an add-on to Unity that lets you create virtual spaces and animations within VR natively, so you can build your VR space naturally and place or move objects wherever you want them to go. EditorVR is still in the works but should be released soon to make content creation much, much easier for folks who just want to prototype something quickly. Look up this VR Unity course on Udemy. While I haven’t gone through it personally, this course was made by the creators of Udemy’s best-selling online Unity course and comes highly recommended. Attend a hackathon or Startup Weekend event for VR/AR, learn from the folks around you and use the project you work on as part of your portfolio. Ask around in your network or group of friends to find out who is familiar with Unity & ask them for help. There are a ton of VR and AR groups located all across the globe where people are gathering together to share knowledge, show their demos, and meet people in their local community. If you’ve never even experienced VR or AR, you can go to a local meetup and try them out for the first time. Local meetups are a great chance to ask questions, make industry connections, and connect with local artists, designers, and developers who will be happy to share their process and methods with you. The people you meet at meetups in your area will be the most helpful and most accessible group to learn from. If you want to focus on one aspect of VR (e.g. audio), or you prefer to work on teams, meetups are a great way to find other people you can collaborate with. I can’t speak for everywhere else, but where I’m from in Hyderabad, our local VR organizations have done a ton of work toward making our local meetups mature, inclusive, and beginner-friendly. If you’re in the Hyderabad area, please come stop by for one of our VR meetup which takes place every forthnight. This is a critical step that will help you show off your skills in a format that lets potential employers learn more about how you work. Here is an example from 3D artist Christian Van Meures that showcases his virtual museum. You should provide both still images or gifs for 2D screens, as well as a way for people to preview your experiences in a VR headset and see it for themselves. Ideally, you will also explain the background of the project, what your role was in creating it, and what it was trying to accomplish. Providing this kind of breakdown will help give context to your work for recruiters or hiring managers who haven’t met you before and are learning about your process for the first time. Take a look through job listings and read through the expectations to get a feel for what companies are looking for. Don’t feel too discouraged when you see things like “5+ years of experience needed”. For one, a lot of tech job descriptions inflate their requirements, just in case the mythical perfect candidate stumbled across their job posting. Secondly, it’s still early days in VR. Very few people actually have the experience in VR that companies say they’re looking for. Focus on showing off your projects, tell them you want to work in VR and show them what you’ve done to get yourself there. Once you have built up some experience and created a couple of projects for your portfolio, you should be ready to apply for jobs. Below you will find an incomplete list of the opportunities from people I searched who are hiring for VR, where they are located, and what roles they are looking to fill.